Although Spanish is the official language of Honduras, English is widely spoken among Roatan's native islanders. Roatan sits on the edge of the Mesoamerican Reef System. This is the second-largest barrier reef in the world. Only Australia's Great Barrier Reef is larger. Roatan is a major cruise ship and scuba diving destination. Tourism is the island's most important economic sector. Much of the development on Roatan is on the west side, with Garifuna communities dominating the eastern half of the island. The Garifuna is the second-largest ethnic group in Honduras. Roatan is approximately 37 miles long and less than five miles across at its widest point. Found off the north coast of Honduras and part of the Bay Islands, the island is located on the southern edge of the Mesoamerican Reef System, which is the world's second-largest barrier reef. This helps to explain the popularity of Roatan snorkeling and diving. When visitors aren't snorkeling or diving during their Roatan vacations, they can find any other number of ways to stay busy. Relaxing on gorgeous tropical beaches, zip-lining in the forest, taking glass-bottom boat tours, and going on sport fishing excursions are just some of the other options for things to do. Roatan visitors can also interact with dolphins at Dolphin Encounter, learn about the ecology of the Bay Islands at the Roatan Museum and Institute of Marine Sciences, and check out thousands of iguanas at the Iguana Farm. Roatan Honduras tourism is concentrated on the west side of the island. This is where you will find much of the new development, particularly around West End and West Bay. West End is arguably the most scenic town on Roatan, and it is without question the island's tourist center. It is there that you will find the most bars, restaurants, hotels, dive shops, and tour operators. You can reach West End by way of bus or taxi from the capital city and main port of Roatan, Coxen Hole. West Bay is just a little more than a mile southwest of West End and boasts what most consider the finest beach in Honduras. Relaxing with a drink in hand is one of the most popular things to do on the long stretch of powdery white sand at West Bay. Visitors can also partake in something a little more active at West Bay Beach. Jet skiing, snorkeling, and going on a boat tour are just some of the activity options. Hotels and condos line nearly the entire stretch of West Bay, and all things considered, the area is quite an idyllic beach resort. It can get very crowded when cruise ships are at port, however. No discussion about Roatan Honduras would be complete without going into depth about the island's diving scene. Simply put, this is a diving paradise. The area waters are exceptionally clear, and just off shore, part of the world's second-largest barrier reef can be found. Complementing the reef sites are wreck sites, and regardless of the area that divers target, they can be assured that they will see some interesting creatures. Sea life abounds in the Roatan waters. 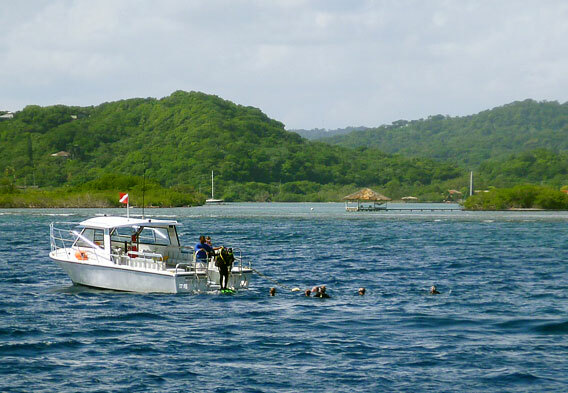 Many of the hotels on Roatan have their own private dive shops. This includes all the major hotels as well as several smaller hotels. 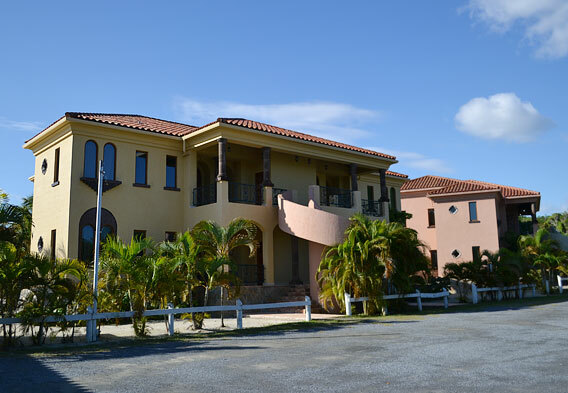 As such, it is easy to find Roatan vacation packages that include lodging and diving. Roatan is known for its world-class diving. Coincidentally, it is also known for its dive resorts. There are several great ones to choose from, including the CoCo View Resort, Anthony's Key Resort, and the Infinity Bay Roatan Spa & Beach Resort. If you need some more recommendations for Roatan dive resorts, you can add Turquoise Bay and Fantasy Island to the list. You don't have to stop there, however. So many resorts on Roatan offer dive services. Worry not if you aren't going to Roatan just to dive, however. The island's resort hotels have other things to offer, including beach access. For example, the Fantasy Island Beach Resort occupies a private, 21-acre island with beautiful beaches, and the Turquoise Bay Resort is surrounded by sea and jungle and has its own 500-foot stretch of sand. It should be noted that the Roatan resorts are relatively small and intimate, especially when compared to the mega-resorts that can be found on some of the other Caribbean islands. Most offer between 20 and 30 guest units, though there are some larger resorts that have 100 or more rooms. West Bay is home to West Bay Beach, which is generally considered to be one of the very best beaches in Honduras. West Bay Beach is certainly the most popular beach on the island of Roatan. 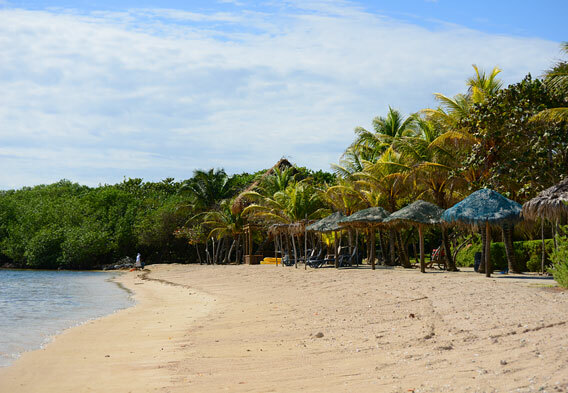 Half Moon Bay is where you will find one of the other most popular Roatan beaches-Half Moon Beach. Roatan visitors who have lots of beach time in mind can also consider heading to the smallish West End beaches or venturing off to the less crowded beaches along the northern shore of the island. 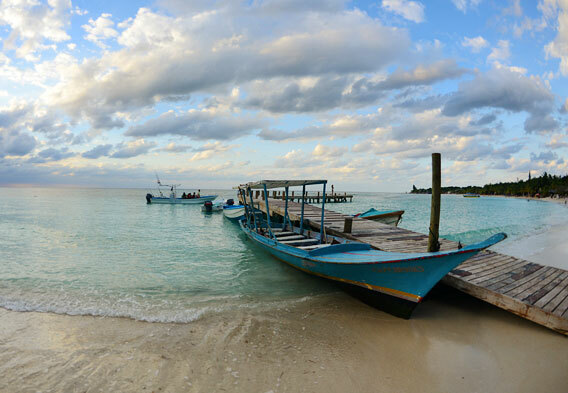 To get to the more remote and secluded beaches on the northern shore, it is common to hire a taxi for the day.